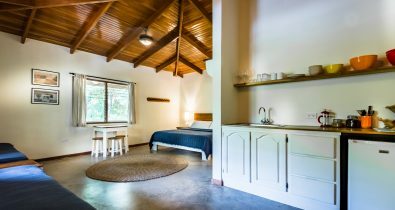 Featuring just 8 rooms that have been recently renovated, we offer two different accommodation types to choose from. 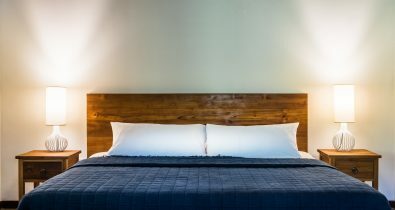 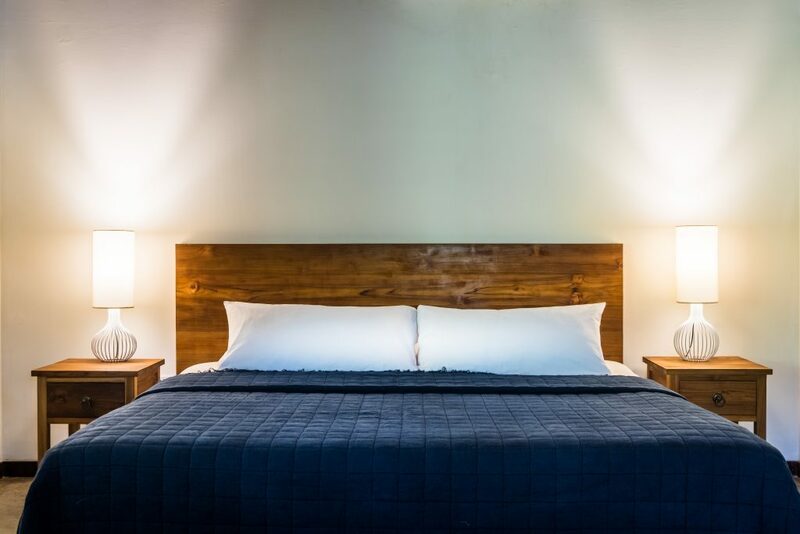 Our standard Private rooms feature a double bed and a day bed, while our spacious Private Deluxe rooms have a king bed and 2 day beds for larger groups and families. 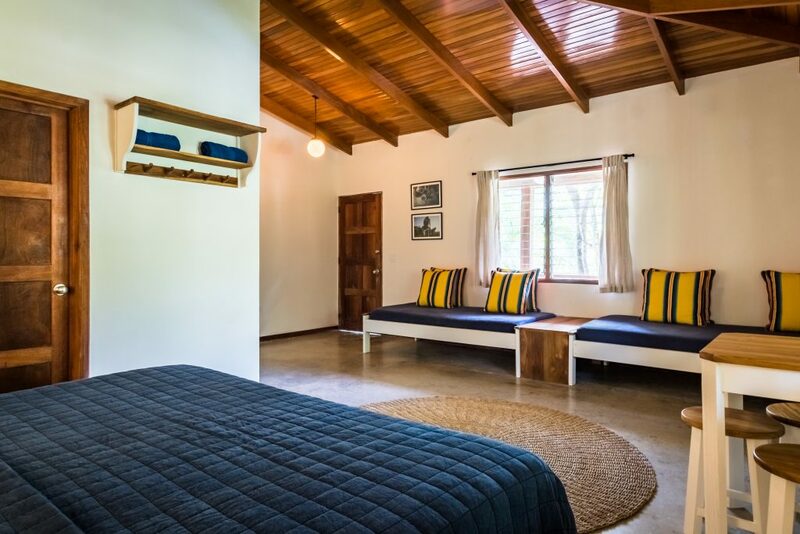 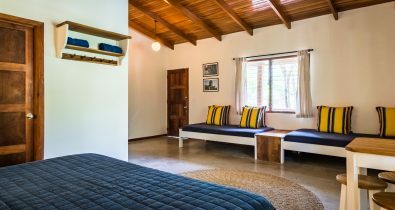 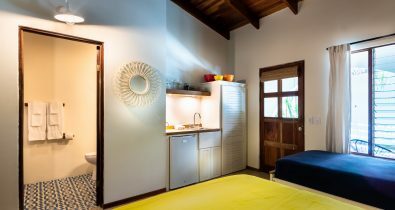 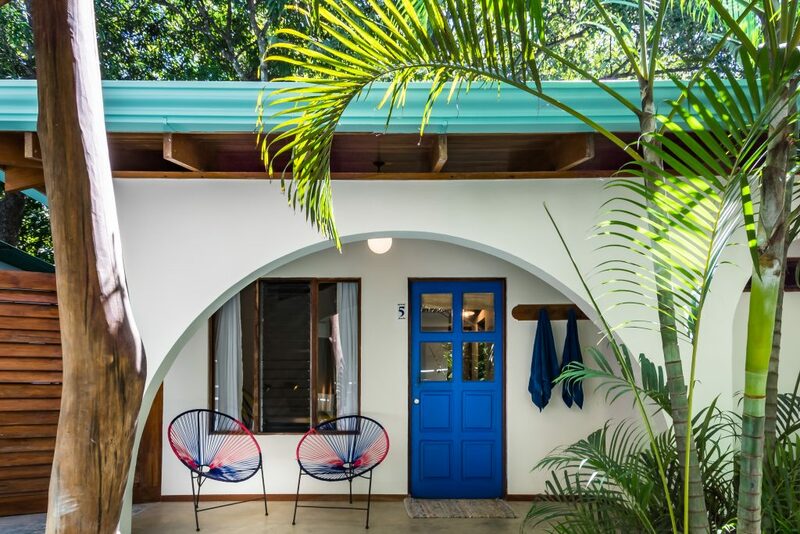 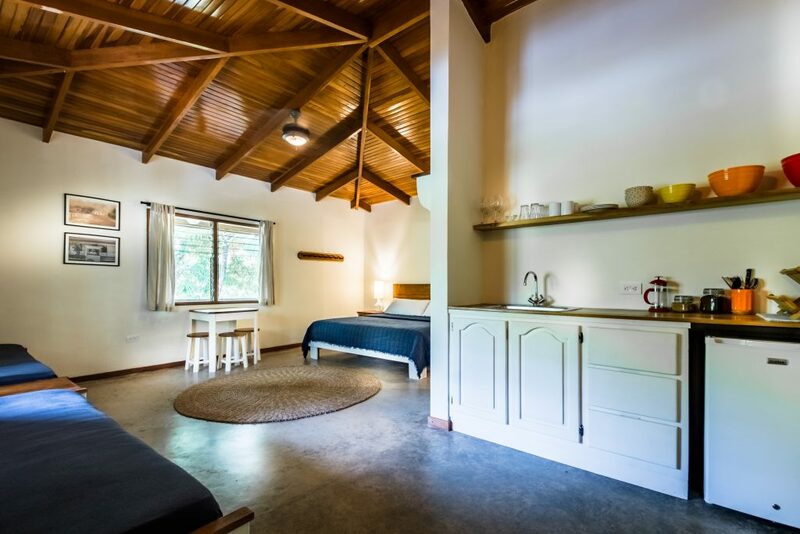 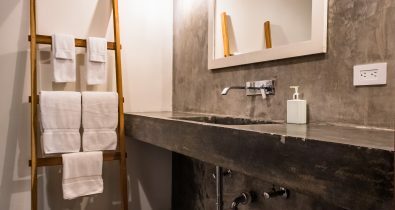 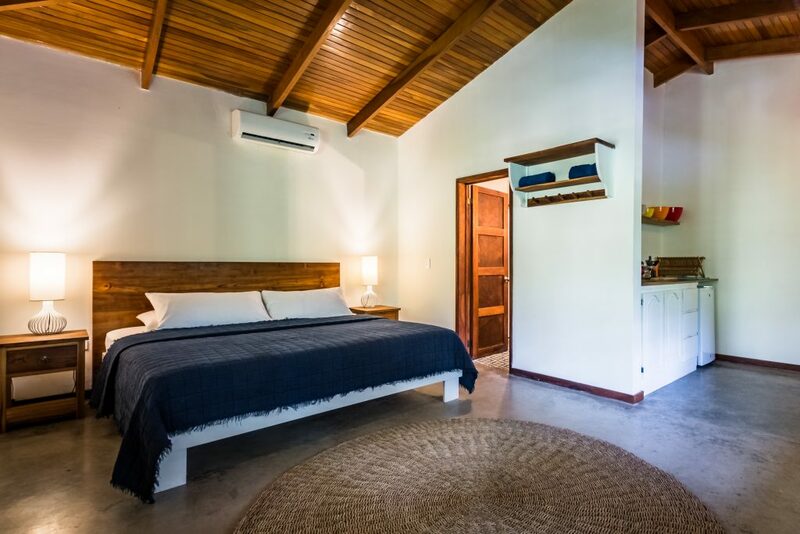 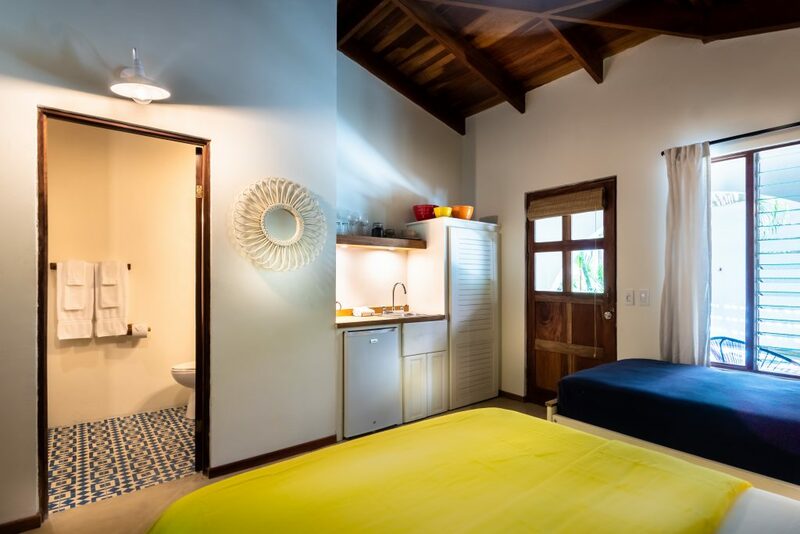 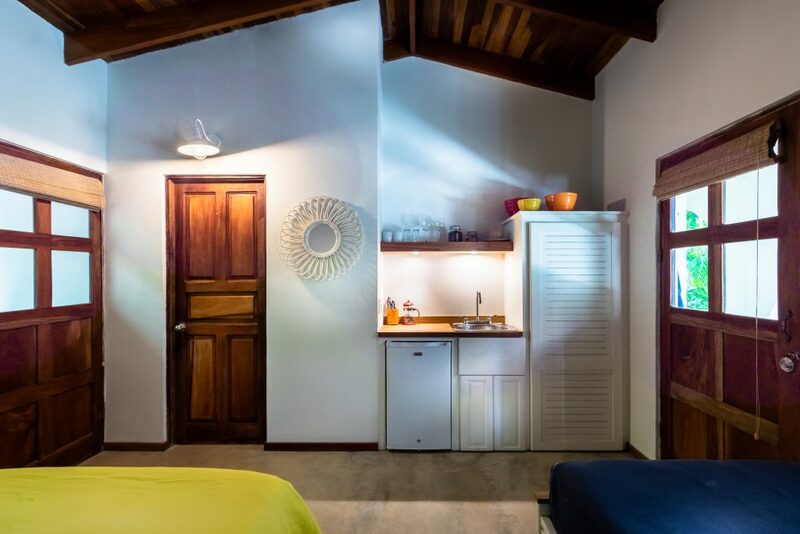 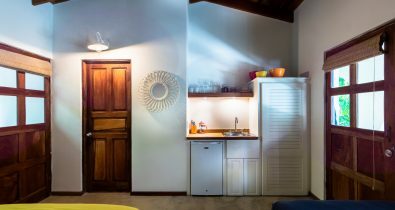 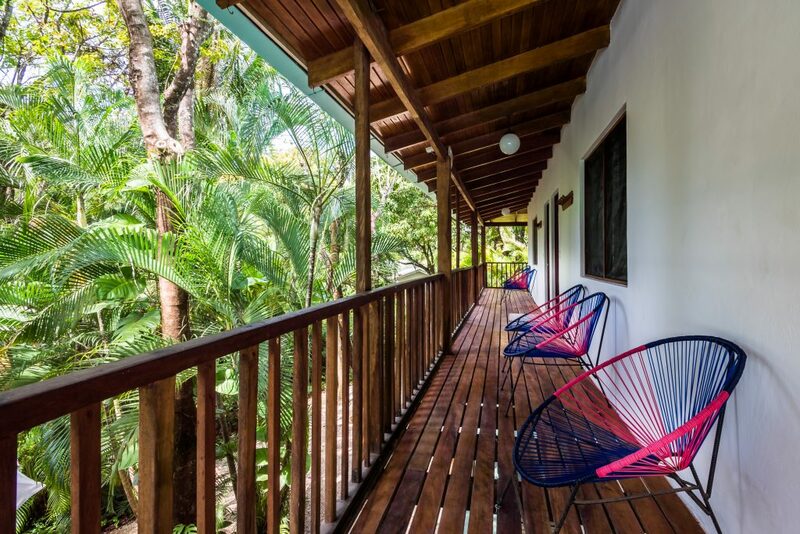 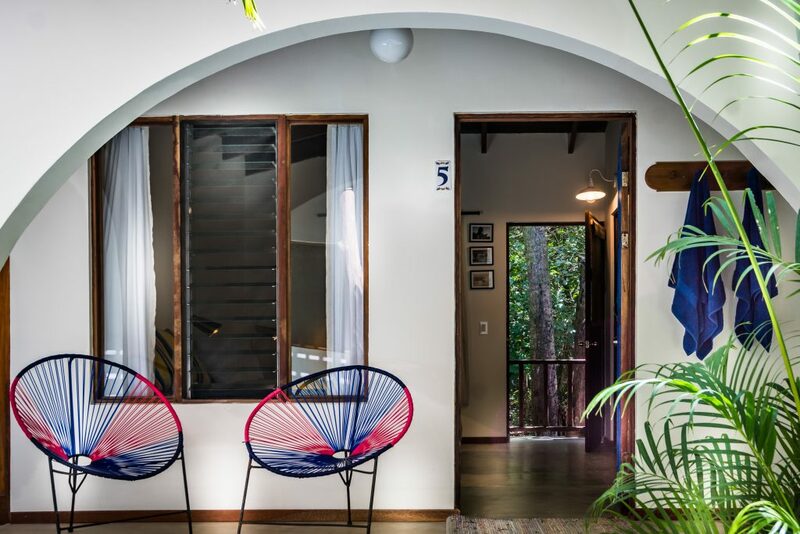 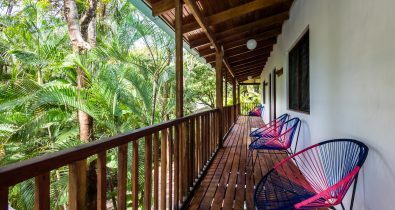 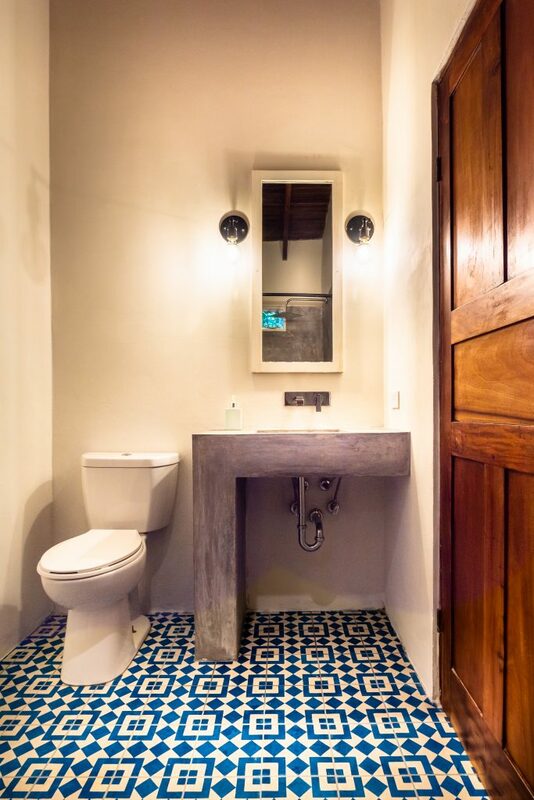 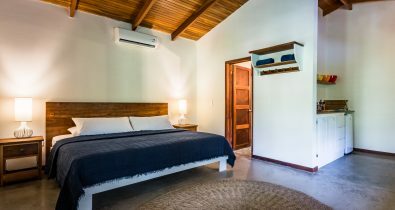 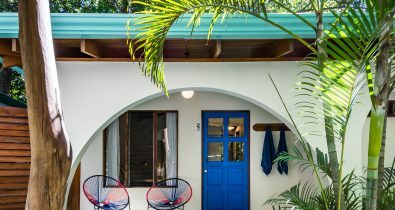 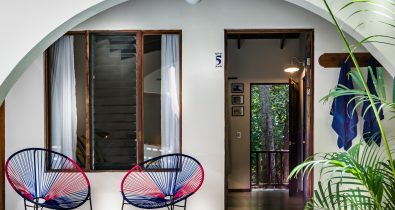 Each has a small refrigerator and kitchen sink, along with basic kitchen necessities like plates, silverware, glasses and a french press for your early morning or afternoon coffee, although breakfast at Al Chile it’s included on the rate. 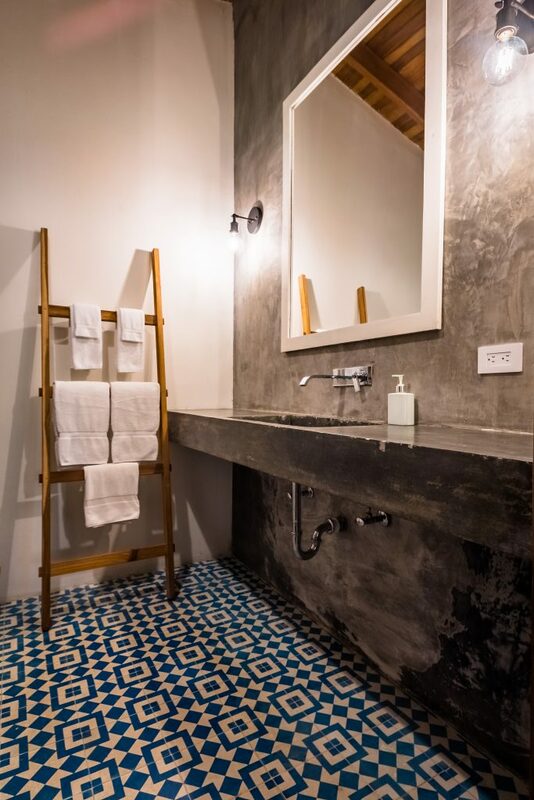 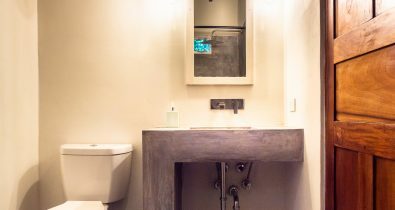 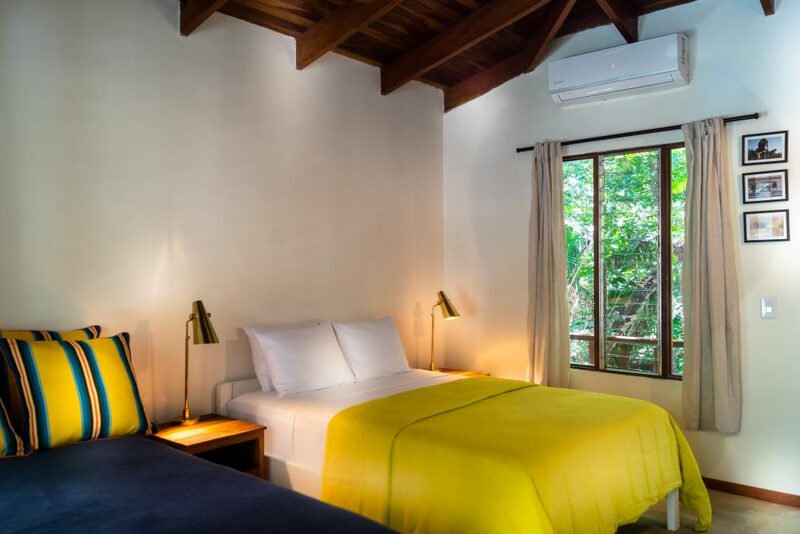 Regardless of the option that suits you, our carefully chosen room amenities will ensure you have a comfortable and fun stay in Guiones. 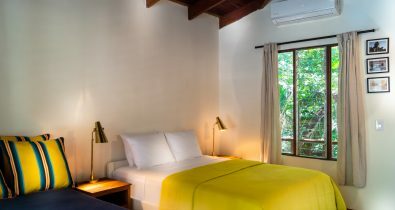 We’re proud to be the first hotel in Guanacaste to participate in MarViva’s #chaoplásticodesechable campaign, which confirms our commitment to eliminate single use plastics from our hotel and Al Chile restaurant.